How do I share a diagram with others? Paste the link into a message, a blog post, etc. However, it's not going to work out-of-the-box because, by default, your diagrams are private. Only you can see them. Make the project where the diagram resides public. Then anyone will be able to read the diagram. Give access to the project only to specific users. 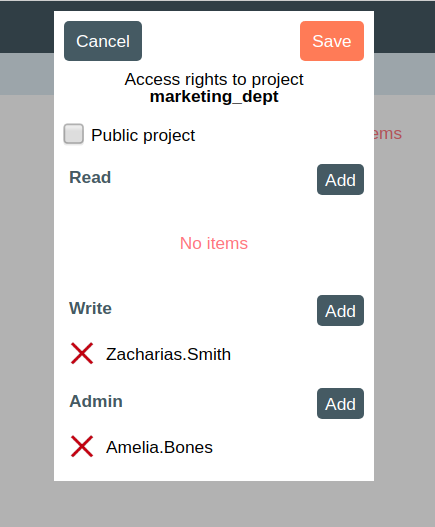 In DrakonHub, you manage access rights at the level of a project, not for individual diagrams or folders. 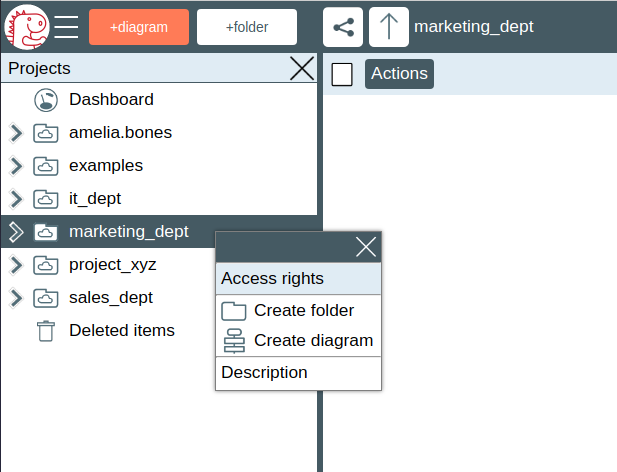 For example, if you grant Write access to project proj_x to user Amelia.Bones, Amelia.Bones will be able to create, edit, and delete all diagrams in project proj_x. In order to control access rights to a project, you must be an administrator in that project. There are several ways to get to the "Access rights" dialog. Right-click on the project in the tree view and click "Access rights". Or, click the "gear" icon on the project line in the Projects list. By default, your projects are not visible to the outside world. If you send someone a link to your diagram, they will get an "Access denied" error when they try to open that link. If you want to publish your diagram so that everyone could read it, make the project that contains the diagram public. To do that, check the "Public project" checkbox in the "Access rights" dialog. This way, people will not have to register at DrakonHub to see your drawings. 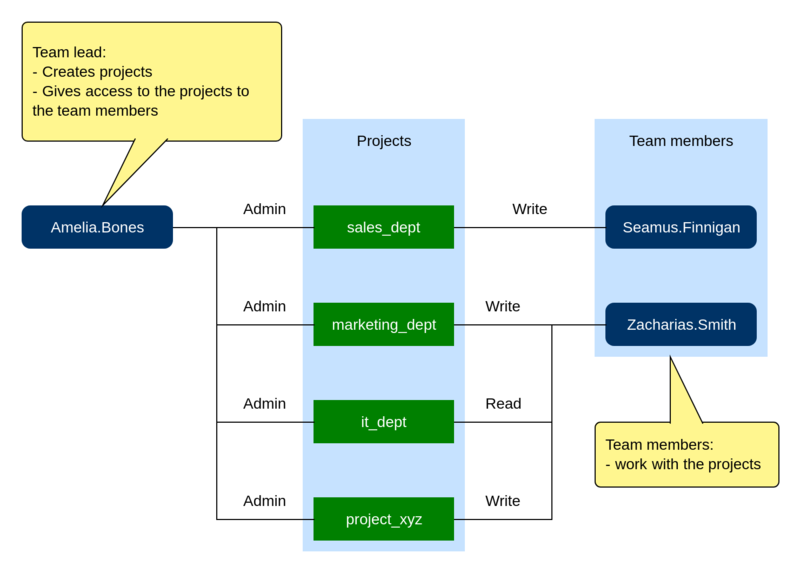 Please note that all diagrams in a public project are visible to everyone on the internet. However, no one besides you will be able to change or delete the diagrams. You can choose to share your projects with only your team. Then, you and your colleagues will be able to edit diagrams together. Tell your team members to create user accounts with DrakonHub. Grant access to your projects to the team members.